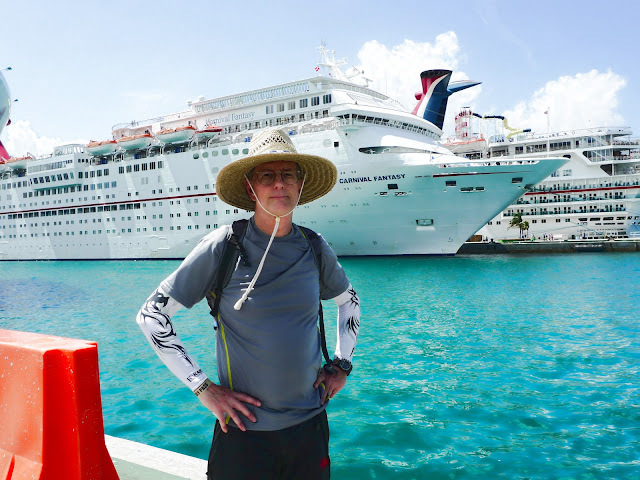 Privileged to celebrate an anniversary and be able to cruise from Charleston to the Bahamas. Took a few hundred shots with three cameras and over the next few days I will be posting some of the results. The first shot was with an NX10 with a Samyang Fisheye with an eye for high definition. Took three shots. Normal exposure, +1/3 and -1/3 exposure. Merged in PS and sharpened in Topaz. The ship was the Carnival Fantasy. 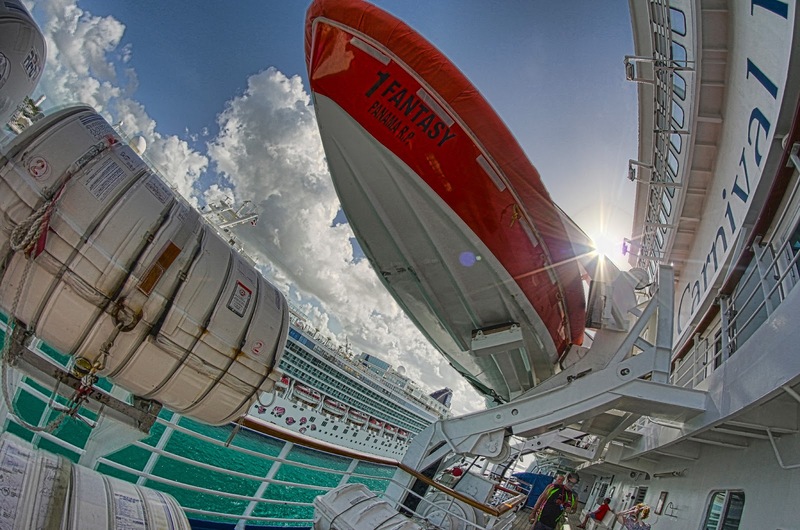 These 3 shots, merged, were taken in Nassau cruise ship harbor next to the Norwegian Gem. Your dufus blogger, afraid of skin cancer.